First up, I’m feeling really honoured to have been asked by the very talented & super awesome Kelly Kent, to be a guest designer for this blog hop, with her fabulous Paper Adventures team. Secondly, I’m excited because I’m using one of my ALL TIME FAVE stamp sets,Birthday Blooms!! I absolutely LOVE this set…it’s going to remain in my craft room FOREVER, & if you want to add it to your stash, then you’ll need to act quickly as it’s on the retiring list, & LOW ON INVENTORY which means it’s only available until May 31st 2018, while stocks last….CLICK HERE TO ORDER NOW. Psst!…..A little birdie told me the fabulous Kelly Kent, is celebrating her birthday this week, so please join me in wishing Kelly, a Happy Birthday!! Now because I adore this stamp set sooo much, I decided that I’d make 2 cards for today’s post. One card is clean, simple & quite modern, & the other card has a definite vintage vibe going on. Both images have been stamped using Memento Tuxedo Black Ink (water based ink) & coloured with the same Stampin’ Blends Markers (alcohol ink markers). 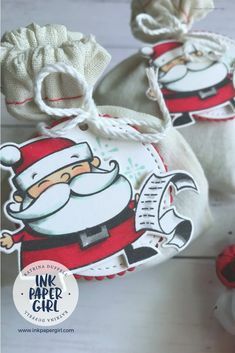 As someone who colours frequently, I have to say that I really enjoy colouring on the super smooth Whisper White Thick cardstock from Stampin’ Up!, it gives great, even, true colour results, every single time. 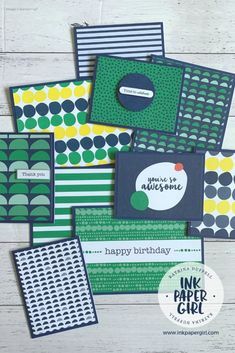 Top Tip: If you want to colour larger areas seamlessly, try the Shimmery White cardstock from Stampin’ Up!. I’ve had some fabulous results colouring backgrounds using the Shimmery White, as it takes longer for the ink to be absorbed into the paper (which means you’ll get smoother blending). It also works well for colouring smaller areas. The clean & simple card is pretty straightforward. I simply stamped, coloured & adhered the image the card base, before adding a couple of elevated layers of cardstock. I then chose some copper metallic thread to suspend over the top of the flower. Top Tip: I used the fine tip glue pen to place a couple of tiny dots of glue down to hold the metallic thread in place. To finish the card off I popped on, a few glitter enamel dots. These little beauties are also on the retiring list so add them to your basket asap. For the vintage vibes card, I decided to try something new & stamped the image directly onto one of Stampin’ Up!’s Delicate White Doilies. I’m really going to miss these delightful doilies when they retire at the end of the month (May) they are so feminine & pretty. 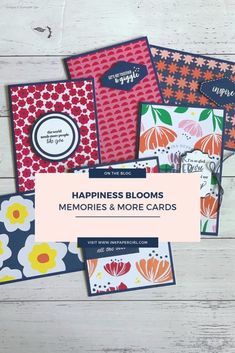 The lovely blue banner is a combination of Soft Sky cardstock (also retiring), the current Petal Pair Textured Impressions Embossing Folder Duo, & the Banner Triple Punch. I sponged the edges of the Whisper White cardstock, the banner & the Delicate Doily with Crumb Cake ink, using a sponge dauber to give it a more, aged, vintage feel. A couple of extra special touches that I just couldn’t resist adding, are some tiny rhinestones, & silver metallic thread. I even hand stitched the banner to the card, using the silver metallic thread, which looks really pretty, when you see it up close, in person. See all those lovely, evenly spaced, stitch hole marks…. I made those using a retired product. If I hadn’t purchased that product at the time, I’d either need to set up my sewing machine to get the same look (that’d be a hassle), or I’d have to go without…so my advice is, DON’T WAIT!! Order what you want now. Because once it’s gone, it’s gone. I hope I’ve left you feeling inspired. I’d also love to know, which card you prefer….. so don’t be shy, make my day, & leave me a comment below. Next stop on this hop is Kelly Kent, you can use the lovely little “Next” button below to easily “hop” over to Kelly’s page. If you get lost at any point of the hop, there’s a list below of everyone who is joining in. Katrina Duffell (guest designer) – You are here. Your cards are gorgeous Katrina! I giving the vintage card my vote. I love seeing novel ideas – stamping straight onto the doily turned out beautifully. This is so beautiful, Katrina. I’m thrilled you joined us in our hop this month, especially with such a fabulous creation. So many people are heartbroken over the retirement of that stamp set I’m surprised there hasn’t been a riot outside SU head office! !